The nearly 30 CCSTI (Centre de Culture Scientifique, Technique et Industrielle) centers in France promote science and technology to the general public. 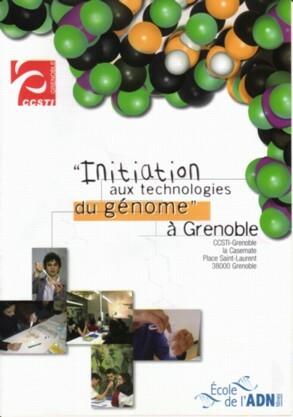 The CCSTI of Grenoble presents the educational program Génome, mode d'emploi, to explain and discuss both the scientific and ethical issues raised by the most recent developments in genomics. One of the means of this program is the Ecole de l'ADN. The aim of the Ecole de l'ADN is to provide information on the advancement of molecular biology and genetics through the organisation of workshops which introduce the students to the basic practical experiments. Initiated in Nîmes, the concept has been adopted by several other cities in France. In Grenoble, the CCSTI offers several such workshops. In collaboration with the Helix research group, two workshops on bioinformatics are proposed to highschool last year students, using ISee as the support for practical activities on the computer. ISee is the e-learning environment which is developped by Helix. It allows the student to understand the inner functionning of the basic bioinformatics algorithms through graphical interfaces.